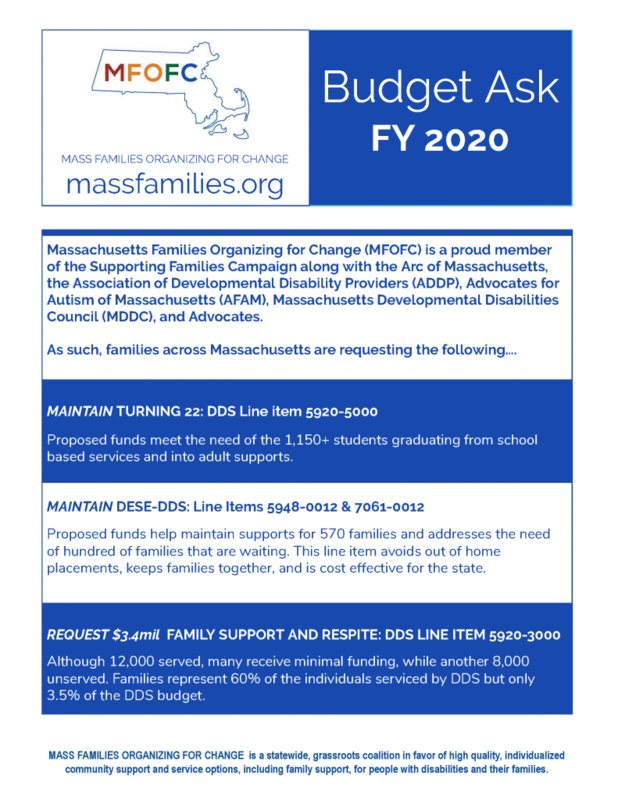 Each year, Massachusetts Families Organizing for Change (MFOFC) prepares an overview of our asks regarding the annual state budget. 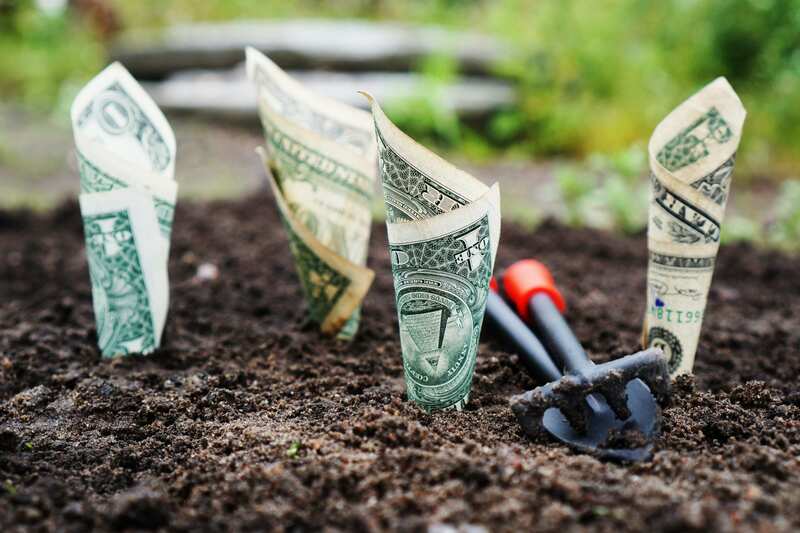 Download the PDF or click on the image to view MFOFC’s budget requests, or simply read on to see what funding priorities MFOFC supports this year. MFOFC is a proud member of the Supporting Families Campaign along with the Arc of Massachusetts, the Association of Developmental Disability Providers (ADDP), Advocates for Autism of Massachusetts (AFAM), Massachusetts Developmental Disabilities Council (MDDC), and Advocates. Families across Massachusetts are requesting the following…. Proposed funds meet the need of the 1,150+ students graduating from school based services and into adult supports. Proposed funds help maintain supports for 570 families and addresses the need of hundred of families that are waiting. This line item avoids out of home placements, keeps families together, and is cost effective for the state. Although 12,000 served, many receive minimal funding, while another 8,000 unserved. Families represent 60% of the individuals serviced by DDS but only 3.5% of the DDS budget. Feel free to print the Budget Asks and Bill Priorities handouts and take them with you to the Capitol or share it with your legislators! Let’s make our voices heard!